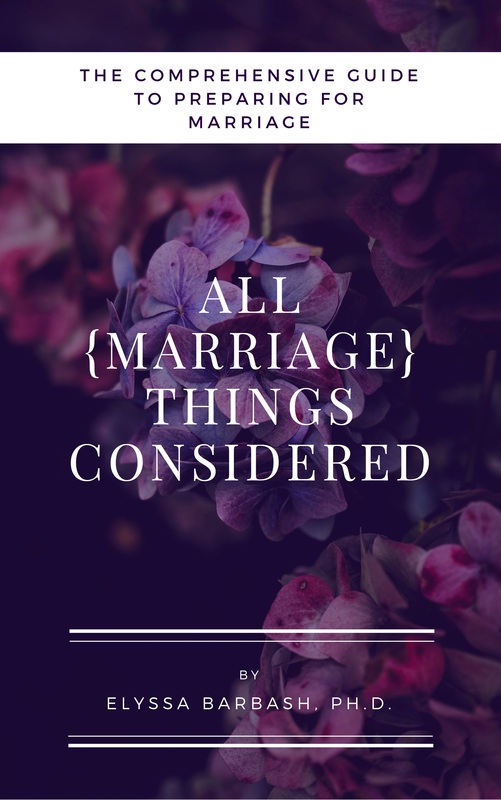 All [Marriage] Things Considered is a self-paced and self-guided e-workbook designed to prepare you and your partner for marriage. The workbook will take you through important topics and ask you and your partner to work together to contemplate and discuss your philosophies, preferences, desires, and wishes. 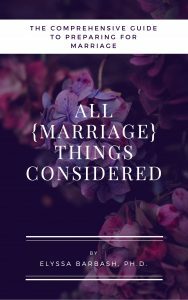 Written by a Licensed Psychologist, Dr. Barbash, there is no better premarital workbook on the market.